Our time in Sri Lanka has come to a close already. I type this from my kitchen table, wrapped in Singaporean humidity, half a world away from that other little island. The last week of our travels was spent kitesurfing. 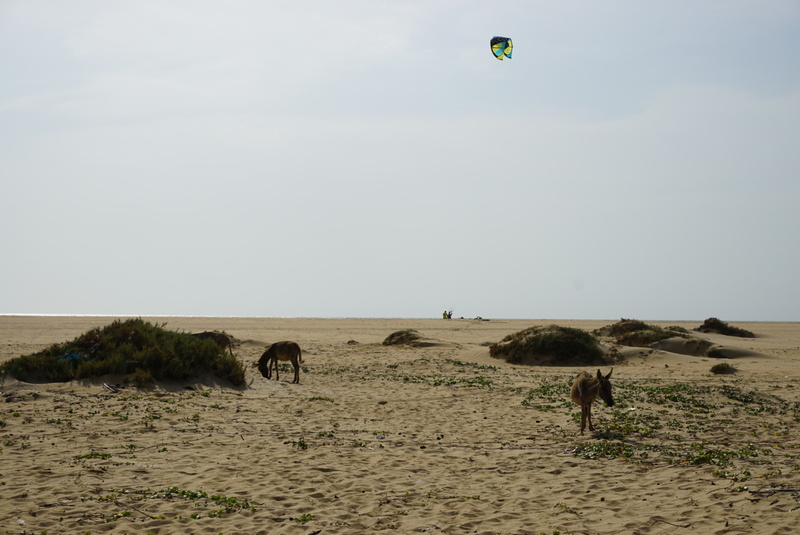 The first week was travel, the second was spent sequestered in the kiting haven of Kalpitiya. It was great: the wind howled through the palms everyday and I very much enjoyed being constantly barefoot and salty, and even the (Naughty! Bad! Pre-cancerous!) tingle of sunburn on my shoulders. One thing that didn’t quite sit right with me was the style of accommodation. We stayed in kiting accommodation which could be described as resort-style in that all our meals were provided, as were trips to the kiting spots and beach toys. It was lovely. But. You could just about be anywhere else in the world. There was nothing that remotely even whispered Sri Lanka. Even the food. We asked if they served any local food but were told most kiters didn’t like it. Um ok.
Our first trip into town was halfway through the week when we were changing accommodation because of availabilities. It was my first real exposure to Kalpitiya town. There was not much there. Whatever tourist rupees that were being pumped into the kite camps were definitely not being seen in town. The place was run-down and dirty, lots of dirt roads and wild donkeys. It was something I had not even considered, coming from a place where prices are quoted in euros and everyone wields hundreds, even thousands, of dollars worth of sporting equipment everyday. Suddenly, I felt uncomfortable in our sheltered faux-Lanka. I thought about the amount of money even scungy backpackers like me inject into local economies. Just simply through getting something to eat, having a few beers on the street or catching a tuk-tuk somewhere. Resorts almost deprive a local community of that income. They provide local jobs of course but I wonder about the comparative effects of both approaches. Admittedly Kalpitiya didn’t seem to have the infrastructure to support much tourism but is that the result of not getting any tourists through? Impossible to know. I’m by no means an expert on the economic development of communities through tourism, just something I got thinking about. The second place we stayed in was a lot more my style. We were in a smaller, quieter place, foreign-owned but locally-managed. All our meals were provided but at least they were made by a crazy-talented local. We had some great curries! This place at least embraced being part of the village rather than shutting it out. The local kids took Partner 2 for a midnight kiting session on the lagoon! It just felt better. Its really interesting to read your writeup, I am originally from Sri Lanka but now I am based in Europe and work here. Due to the love for water sports I discovered Kalpitiya in 2011 and ever since then I am infected with kalpitiya. Me and a friend who is also born in Sri Lanka have now started a Grass Root project and we try not to do exactly what you have mentioned in your write up.